Length of Trail: Main loop of about 5 miles. Total trails: 10 miles. Staging Area: The Goodan Ranch Staging Area is located on Sycamore Canyon Road. 16281 Sycamore Canyon Road, Poway, CA 92064 (ThomBros: 1191-C6). From I-15 exit at Poway Road, take Poway Road to Garden Road. Take Garden Road east to Sycamore Canyon Road. Take Sycamore Canyon Road south to the parking lot at the end of the road. 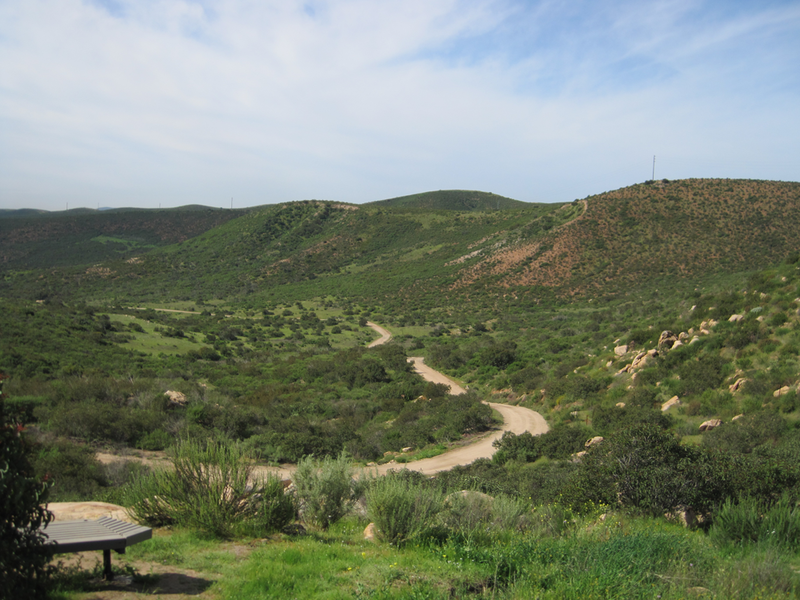 The Friends of Sycamore Canyon Open Space and Gooden Ranch has directions and a map. This is a small parking area with space for only two or three trailers. It is popular, especially on weekends, with hikers and cyclists. Highway 67 Staging Area, 13920 Highway 67. Lakeside, CA 92040 (ThomBros: 1191-E5). There is space to park a few trucks and trailers here. There is a portapotty here, but no facilities for horses. This gate is not always open. Check San Diego County Parks and Recreation website for opening times. Water: There are various streams along the trail, but no water at the staging area. Trail Conditions: Easy to challenging. 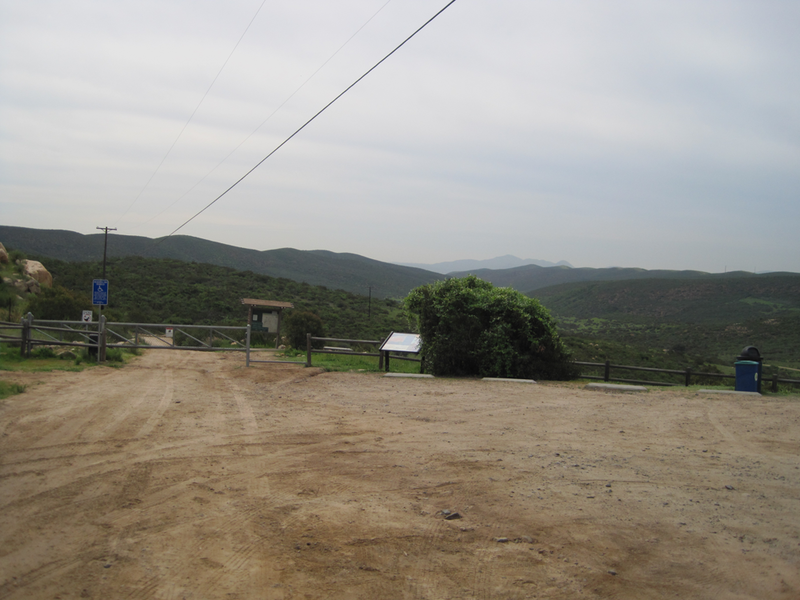 From the staging area at Sycamore Canyon Road, there is a pleasant trail down a fire road into the valley, past Gooden Ranch and you can complete a loop on a trail which passes behind the ranch house for about a 5 mile ride. It is very peaceful and has beautiful views. The one way downhill trail to Martha’s Grove is popular with cyclists, and as it is steep, narrow and downhill, watch out for bikes behind you. The trail down the hill from the staging at Sycamore Park Drive is steep and rather challenging. 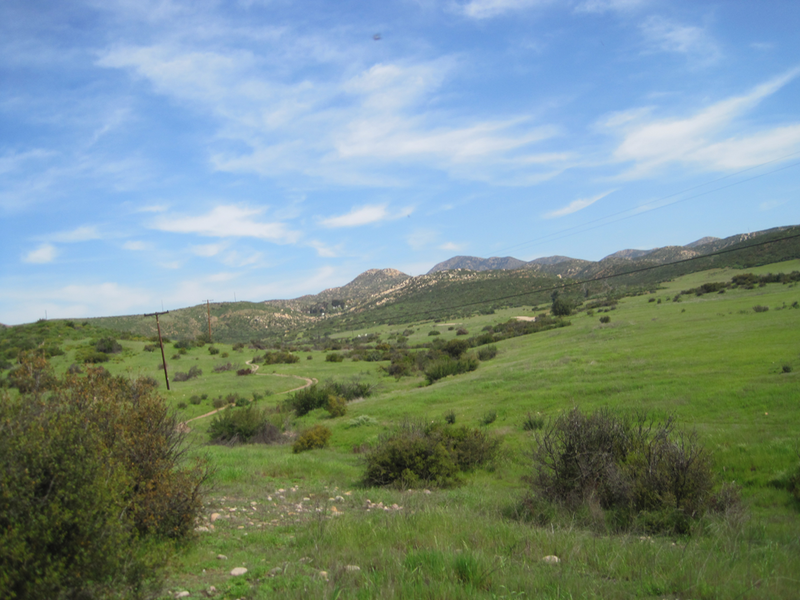 At the west end of the ranch, there is a sign saying “Santee: 3 ½ miles”. This trail is popular with cyclists, but I have not ridden this trail yet. “The preserves contain more than 10 miles of hiking trails, along with a staging area for horses. Horseback riding is allowed seven days a week at Goodan Ranch and Sycamore Canyon. * Starting at the Goodan Ranch staging area, Martha's Grove memorial trail descends through hills and canyons covered in coastal sage scrub to an oak grove once visited by Native Americans. This trail is moderate in difficulty and is a three-mile loop round trip. 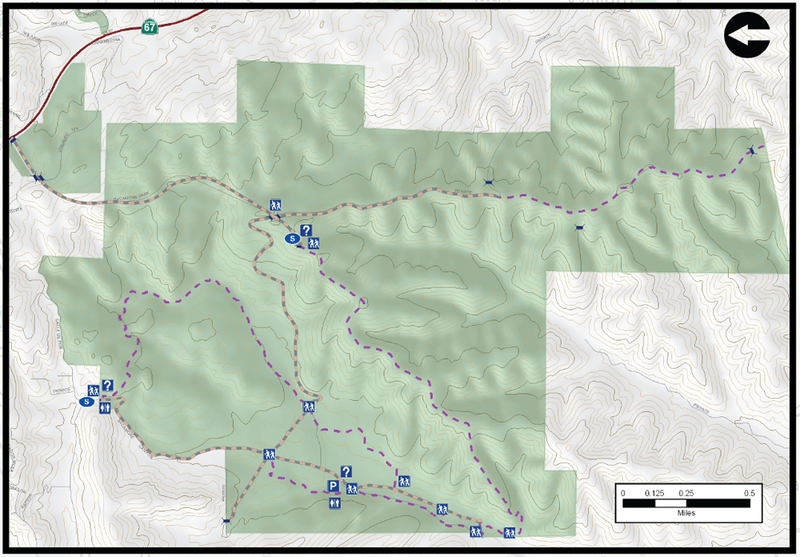 Mountain Bike Bill website also has a topo map of Sycamore Canyon. Trail Users: The trail is open to hikers, cyclists, as well as horseback riders. Dogs are also welcome on a leash. Park regulations forbid you to tie your horse to any trees or other vegetation. General Trail Info: From Friends of Sycamore Canyon and Gooden Ranch website. 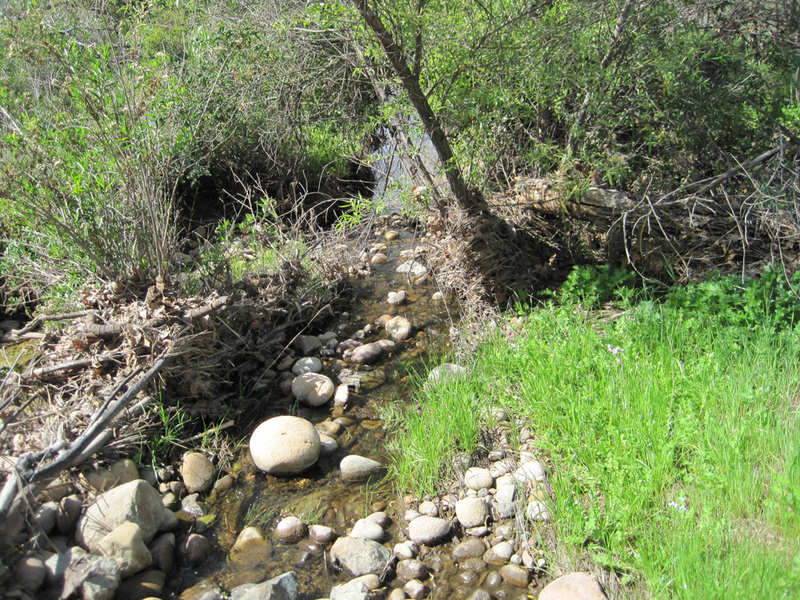 “For those seeking solitude and recreation in a scenic natural setting, Goodan Ranch and Sycamore Canyon Open Space Preserves have much to offer. Visitors can hike along miles of trails, where they will enjoy grand vistas, abundant wildlife, and interesting reminders of the long and varied history of man's use of the area. 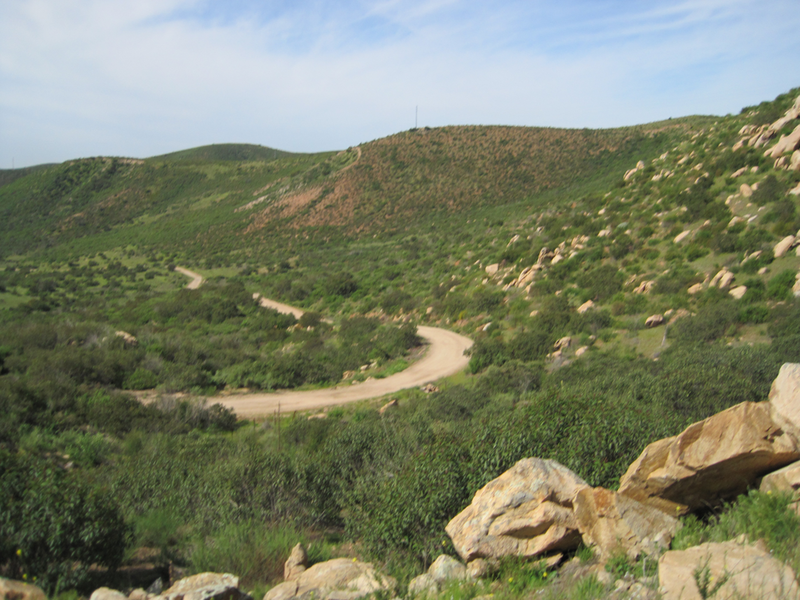 Sycamore Canyon consists of 1700 acres of coastal sage scrub and chaparral-covered hills nestled between the cities of Poway and Santee. Bordering on the west side and stretching through the valley floor is the 325-acre Goodan Ranch, a mix of diverse habitats including grassland, riparian, coastal sage, oak woodland, and mixed chaparral. 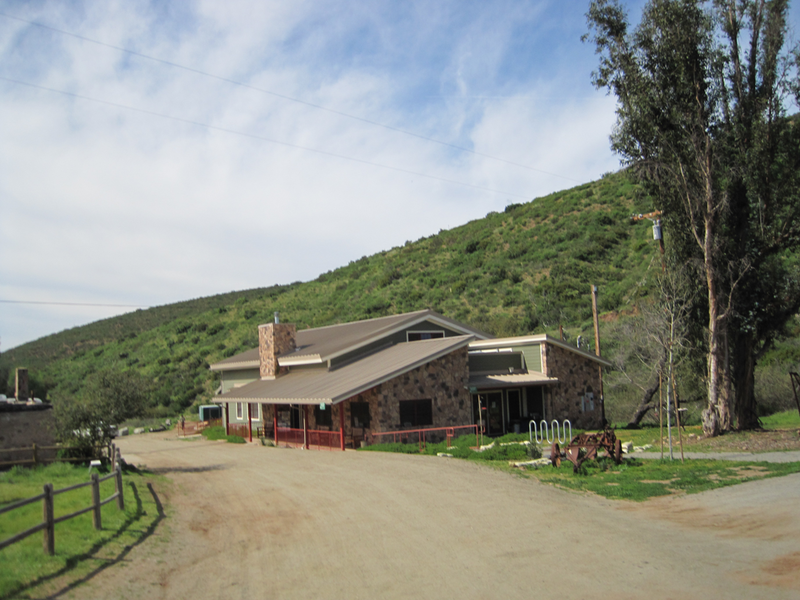 Goodan Ranch and Sycamore Canyon are enjoyable for their peaceful solitude, recreation opportunities, and beauty. You'll find a multitude of different plant and animal habitats, including coastal sage scrub, southern mixed chaparral, oak woodlands, riparian, and native grasslands. Common plants include California sagebrush, buckwheat, chamise, lilac, manzanita, lemonadeberry, coast live oak, sycamores, arroyo willow, and various native grasses. Mule deer, coyote, bobcat, rattlesnakes, and birds such as California gnatcatchers, Hutton's vireos, and scrub jays are among some of the wildlife you may discover”.